At the beginning of the year 2015 my brother and sister-in-law told us they wanted to go to a country with nice bounty beaches and warm weather. As they had never traveled, to far distance countries we decided to go with the four of us. I searched the internet and just kept an eye on the advertises of tour companies in the Netherlands. They drop down prices at some points so I figured to get a good deal. Four weeks in advance I found a deal to Saint Martin in the Caribbean sea. The deal seamed nice so we booked it. Four weeks later we found ourselves on a Tui flight to the bounty island St. Martin. We had a 2 hour delay and the Tui flight is really basic so only for the cheap prices I would book it again. The hotel Divi Little bay resort at the Dutch side of the island was a 4* hotel. We were lucky to get an upgrade to a suite. This was really luxurious with a Jacuzzi, kitchen and large bed. As it was evening already, we went to bed early. The next day we walked around the resort and found out we had 3 pools and a big beach to enter the sea. First of all we put on the snorkel gear and went snorkeling right in front of the hotel. 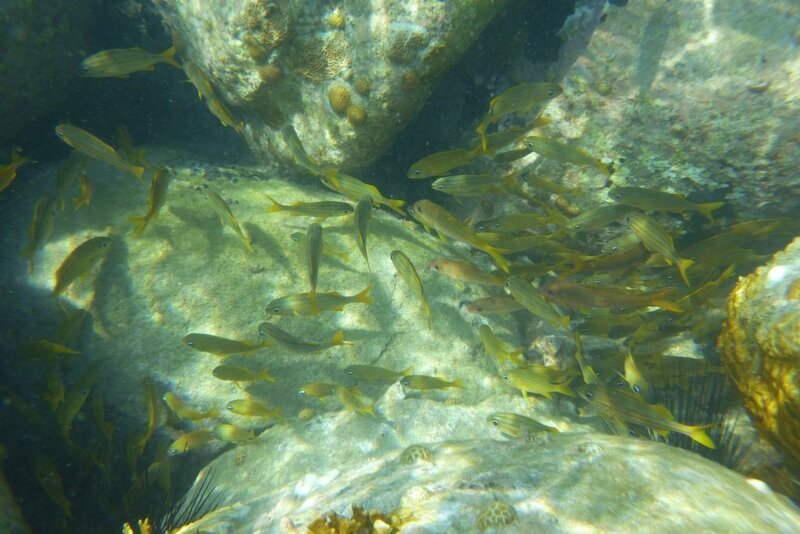 There where more fish than I was expecting and even some colored corals. Before lunch we set of to Philipsburg, which is the biggest city of the island. We walked there in about 30 minutes and found a restaurant for lunch. We found out the island is really having a cruise ship culture. This means almost all restaurants and souvenir shop will close at about 5 p.m. This means we only have 2 restaurants to choose from or eating at the hotel. Since we have the kitchen we will cook our selves a meal in the evening and have lunches in nice restaurants. Prices of a main course would be about 15 Euros - 20 Euros. This would be a simple meal. Some meat or fish with french fries. After lunch, we set of to Maho beach. This beach is famous for seeing big airplanes landing at the airport. We took a shuttle bus to Maho beach. They can be found along the road ‘Achterstraat’ We just wave one dawn, they stopped and they drop you off at any point of their route. The cost of one way is 2 dollars per person. The route was scenic, St. Martin is really green and hilly, but also busy with cars and people. 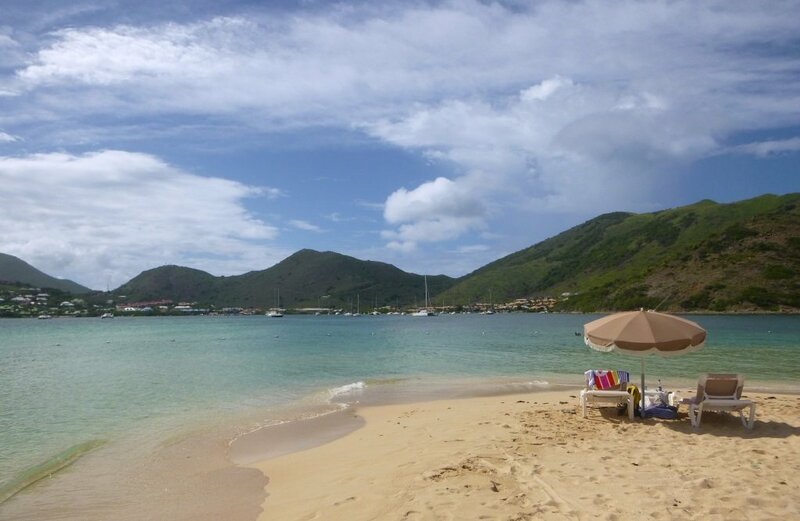 Saint Martin is only 87 square kilometers, so you would think it wouldn’t take you much time to get from one to another point. Because there are many cars, traffic jams are common, so just take your time to get somewhere. It was early afternoon so this drive went straight forward and we got there quickly. On a surfboard at the restaurant Sunset bar you can see the timetable of the arrivals of the flights. We were lucky the KLM Boeing flight would land within an hour so we just waited to see it. Meanwhile, small planes would land. The landing of the KLM flight was amazing! It almost looks like it’s going to land on the beach this close it is. After she show, we went to Simpson bay. Here we found a very nice, large and quiet beach. We walked all the way to the beach bar ‘Karakter’. Here we ate a great lunch! Next days we spend on the beaches close to our hotel. We really had some relaxing days. But at one point we wanted to se more of the island so we rented a car. Before it was settled it took some time at the Herz office. We set of to Dawn beach first, but here there was too much seaweed for swimming. Next was Orient beach with a quick top for photo’s at Oysterbay. Orient beach has a nice soft sand, but the beach itself is a bit crowded. So we decided to go to Pinel island. You can park you car at the ferry dock. There are small boats which take you to Pinel for 10 euros or 12 dollar return. The island is only 5 minutes by boat, you can see it from the ferry dock. 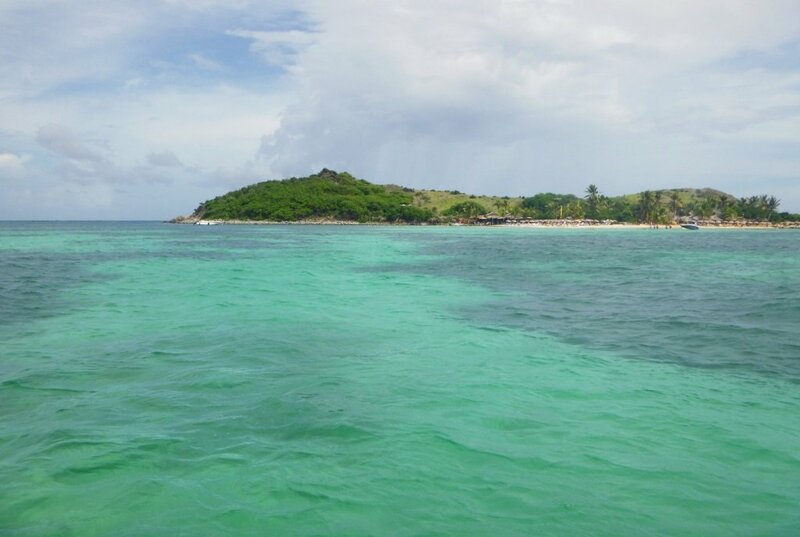 Pinel island is really small. When you arrive on the left side you can see the beach with golden sand, here are 2 restaurants to provide all you need. Between the restaurants there is a meeting point of iguanas, at least that how it looked like when we arrive. 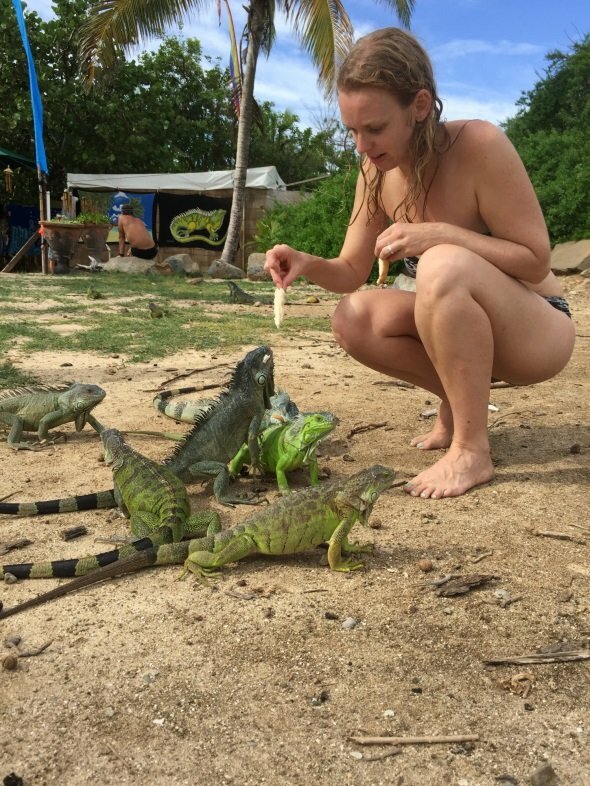 There where so many iguanas all around, waiting for some quick snacks they get from tourist. After some great photo’s, we went to one of the restaurants got get a lunch. Timo and I tried to do some snorkeling, but it couldn’t appeal to us. So we just relaxed. At the and of the day we took the boat back and tried to find some more gems on this island. Unfortunately the sun was hiding, so the island didn’t give himself. Friars beach looked quiet with the sun hiding, the people where nowhere to be found. We just figured we drive back, enjoy the views from the car and go back to the hotel, after a shopping stop at Marigot, the capital on the French side. We hit the supermarket and got some food for the next days. We did end up on a traffic jam back to Philipsburg, but there is nowhere to go. We made a reservation for a car via our tour agent Tui. They send us to the hotel next to Divi little bay resort, which is about 10 minutes walk. Somehow they didn't get the reservation, but they did have a car available. We could get it for the same price our tour agent sold it to us, which was 65 Euros a day included insurances. The own risk was high; 1600 Euros's which they check on your credit card. When you return the car, they put it back at 0. The service was really, really slow! We had to wait for about an hour before we finally arranged the car. And when we wanted to return the next day, the guy at the desk didn't show up for 2 hours in the morning! Finally, we just put the key in the mailbox. The same day we got an email which stated everything OK.
Due to the high price of the car rental I would recommend to hire a car in advance. Anguilla. I had never heard of this country before. But this tiny island is only a 25 minute ferry ride from Sint Martin. After some research, it was an island not to be missed! 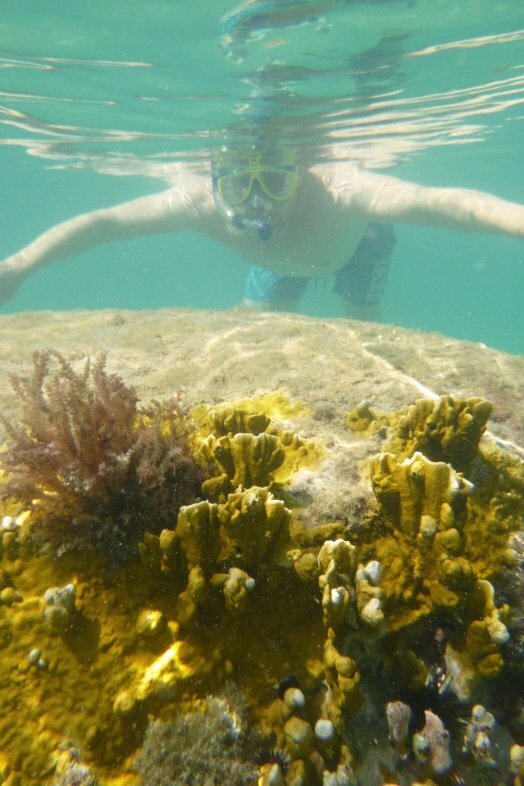 With almost 35 beaches and a good coral reef it must be a good day trip. You can start reading here.